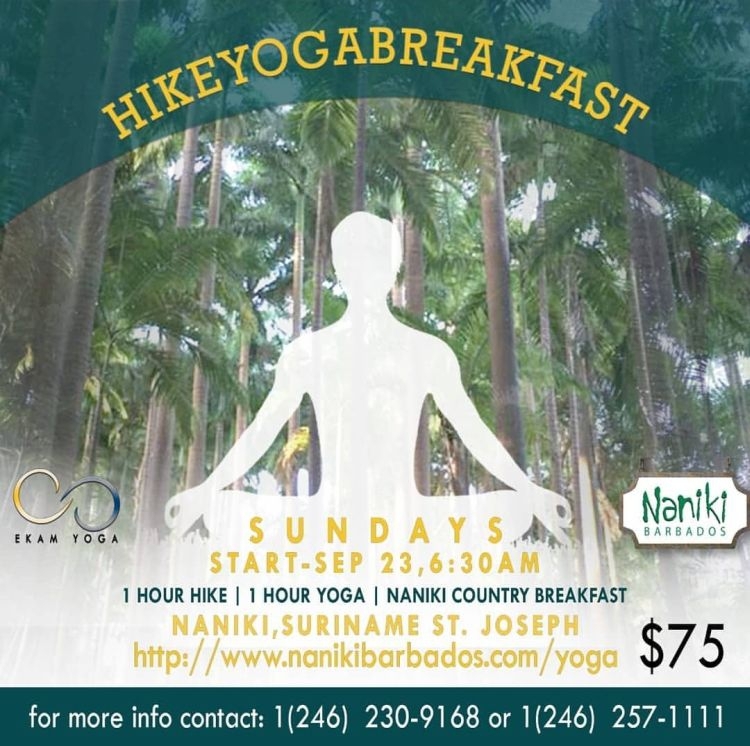 Starting at 6:30am, enjoy 1 hour of hiking, 1 hour of yoga and a delicious country breakfast overlooking the beautiful rolling hills of St. Joseph for the price of BB$75. Naniki is a rustic restaurant that looks out on the north eastern side of the island over the central hills down to the wild east coast. A truly breathtaking setting. Naniki now offers self-contained cottage accommodation and promotes an eco-friendly lifestyle, which includes health and wellness, local and Caribbean dining, trail hiking, yoga, ozone sauna and other therapies. For more information call: 230-9168 or 257-1111.